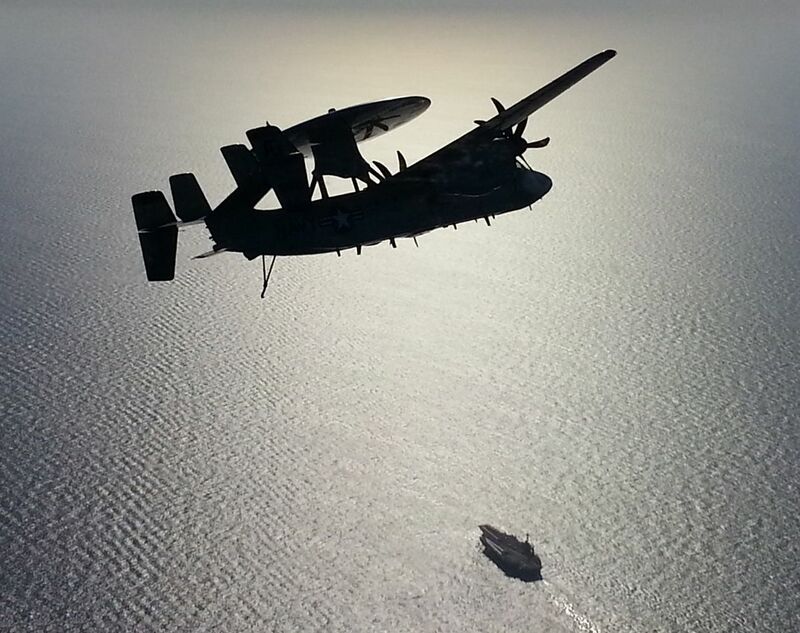 E-2C Hawkeye from VAW-117 flies overhead the USS Truman. 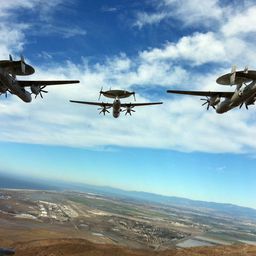 An E-2C Hawkeye from VAW-117, The Wallbangers, flying off the US east coast in summer of 2014, circling overhead the USS Truman aircraft carrier. Date Uploaded: Nov. 18, 2015, 9:37 p.m.